If you can type a URL in your browser, you can create a quick chart with the help of Google. The wizard for making bar graphs is very user-friendly and straight-forward. Start by giving your graph a title. You can easily define the font color, size, spacing and size of the graph. Data sets can be entered in a text area, using spaces to separate each bar on the graph. Adjustments can be made to the scale, color and positioning of the legend. Additions and customizations can be made to the X and Y axes. Being able to see the chart take shape in real-time, as adjustments are made, is a big advantage. It really can’t get much easier! You can play with the full parameter list on the Live Chart Playground page if you please, but if you’re using the GUI interface of the Chart Wizard, you certainly don’t need to remember all these elements and their specific format for passing data. But it’s good to know how the URLs are structured and where to make changes if the dataset for the chart should change, without having to go back to the Wizard interface. 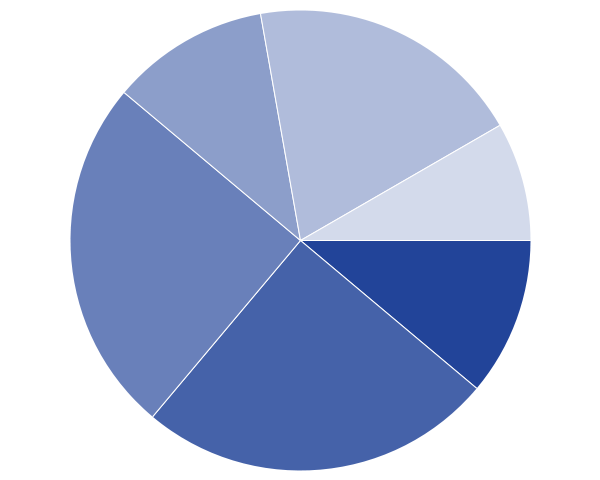 A simple pie chart can can make a huge difference when talking percentages, votes or any other numerical proportions. When a pie chart is added to a page full of text, it allows the reader to scan though and quickly extract and absorb the data. This is where the labels and legends can really be helpful as a means to visually summarize data. The options for pie charts in Google allow for colored-coded legends as well as arrows pointing directly to the individual slices. Pie charts can be displayed in 2D, 3D and other display configurations. Venn Diagrams are best used to show relations between sets of data. The Chart Wizard for creating them is a little bit different than the others, but fewer options makes it a little bit more straight-forward to configure. All that’s needed is a size for each of the circles, and a value for where they intersect each other. When you’re ready to share your chart, just grab the link or the image HTML displayed in the sidebar of the Google Charts Wizard. You can view the rest of the Google Charts here.